Dogs are great. You know, they're smart, cute and affectionate. The problem is, there is hundreds of breeds of dogs to choose from and they're all so loveable! 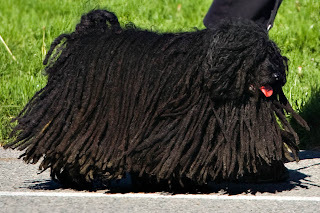 Apartment-dwelling dogs are usually small to medium sized dogs, and even when you narrow it down to that you have purebreds, mixed-bred hybrid things with cute names that all end in -Poo and toy versions of this and that. Since every responsible dog-owner knows it is unethical to get a dog from a pet store that likely abuses animals in puppy mills (especially in Quebec which has no animal right protection laws and Ontario that has very lax laws) or from puppy mills themselves that disguise themselves as loving breeders (you can usually spot these ones as they usually sell many different breeds of puppies all at once). Even with the small amount of family or professionally bred dogs left, narrowing one little pup is very hard. I have always wanted to adopt a dog who needs a good, loving home but our pound doesn't have smaller dogs! My love of dogs began with a friend's chihuahua who became my companion everywhere (and I mean everywhere from dentist appointments to the supermarket). We decided to get a dog, our first dog unknowingly from a pet store when I was too daft to realize what the poor animals went through before they arrived behind the glass stall. I bought a Pomeranian puppy for $800 that looked like an odd, alien cross between a mini Golden Retriever and a long-haired Chihuahua. I had fallen in love with the little guy and knew I had to have him. It was a sickly, puppy mill abused puppy that ended up having many health problems and remained very aloof. 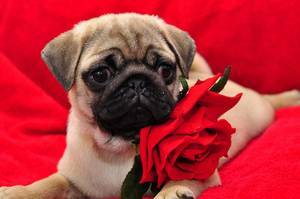 For my fiancee's birthday I bought her the most adorable pug puppy in the world from a kindly breeder in the neighbourhood for $550. 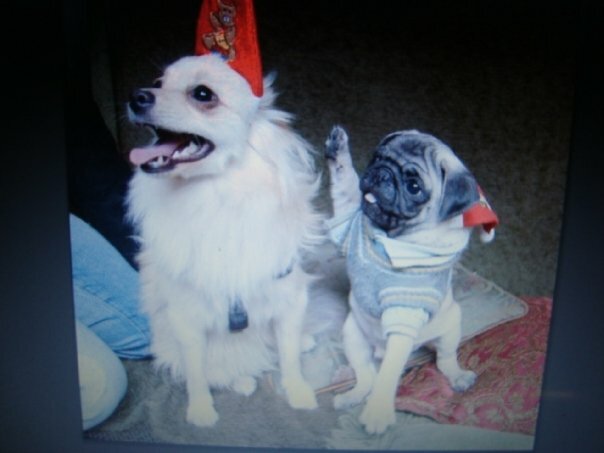 Our Pug, R, was so sweet and intelligent and well-trained we were so in love and our Pomeranian liked having a playmate. Unfortunately, when we had to leave our old apartment our dogs couldn't come with us and instead reside happily with an elderly, lonely relative who is very appreciative and grateful for the company of our sweet dogs (who we see often). MY POMERANIAN & MY PUG PUPPY! YAY for the Repeal of DADT! O-Range Ya Glad It's Cheap? What Colours To Paint the Living Room Walls?